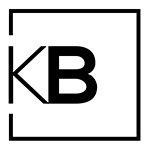 Keith Bryce combines a bold aesthetic with the keen focus and technical skill to execute ambitious looks, elevate brands to the next level, and represent a unique creative voice in the beauty industry. As a designer, stylist, and photographer, Keith works closely with creative teams and clients to generate stunning imagery for maximum impact. He is an international award-winning photographer, featured in dozens of beauty magazines and across social media. He has collaborated and consulted with numerous commercial companies, top international stylists and a variety of exclusive beauty brands. With his hands-on approach and sharp visual sense, Keith helps small companies reach big company goals and brings a fresh swagger to breathe new life into brands. Whether it is working with celebrities as the on-set photographer, doing custom wardrobe and styling for feature-length films and music videos, or creating dynamic sets for film and photo shoots, Keith is a prodigious talent who can rally creative and production teams and take on multiple roles to achieve incredible results. He has also found consistent success each time he expands his range of abilities. Not only was he the North American Hairstylist Awards (NAHA) photographer for 35 nominated and winning collections, within just two months of receiving his cosmetology license Keith was nominated for three awards himself. Originally from Salt Lake City, Keith studied marketing, advertising and branding in college and was a commissioned fine artist by the age of 21. He launched the successful clothing line “Filthy Gorgeous” in 2006 that was picked up by more than a dozen stores, and after just two years as a self-taught designer he was chosen to join the Season 5 cast of Project Runway. Keith excels with conceptual avant-guarde design, which he can easily translate to “wearable with an edge” to meet client needs. Whether it is producing world-class beauty imagery, designing compelling looks, or leading teams to push creative limits, Keith is fast becoming one of the go-to contributors in the beauty industry.